Homage to Denmark – Voila! I sometimes consider myself a “Dane-ophile.” If I see anything Danish it reminds me of the time I had studying abroad in Copenhagen, which as a result, is automatically great. I lived with an amazing host family, had terrific adventures in Denmark and fell in love with the cozy holiday traditions of that country. Part of the traditions, just like many cultures, revolve around food and drink. There is a special Christmas beer released in November and aebleskivers and glogg. 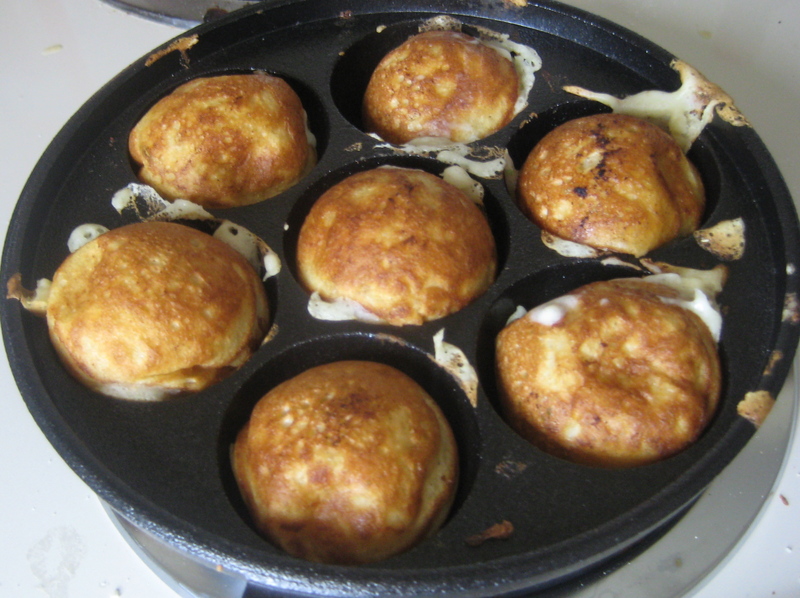 Even though aebleskivers are little puff pancakes, they’re often eaten as an after dinner treat. 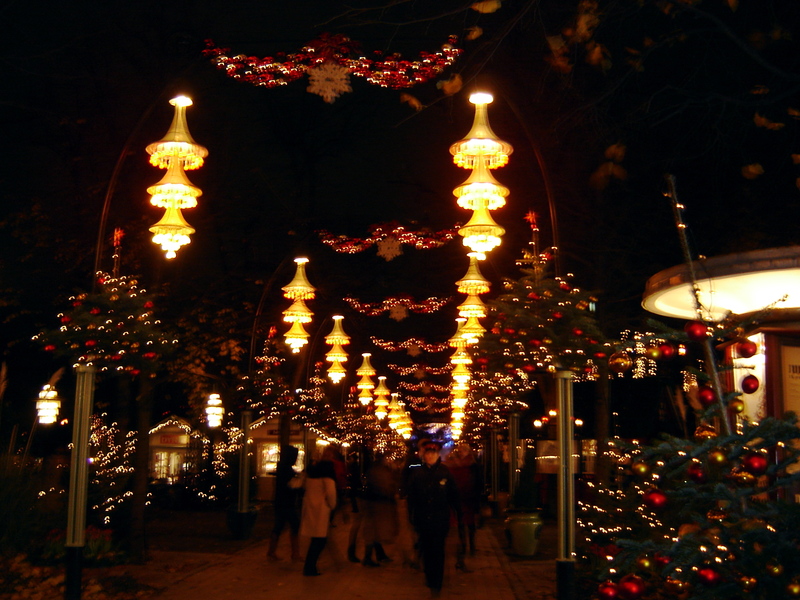 You can get them at most restaurants or at the famous Tivoli Garden Park. 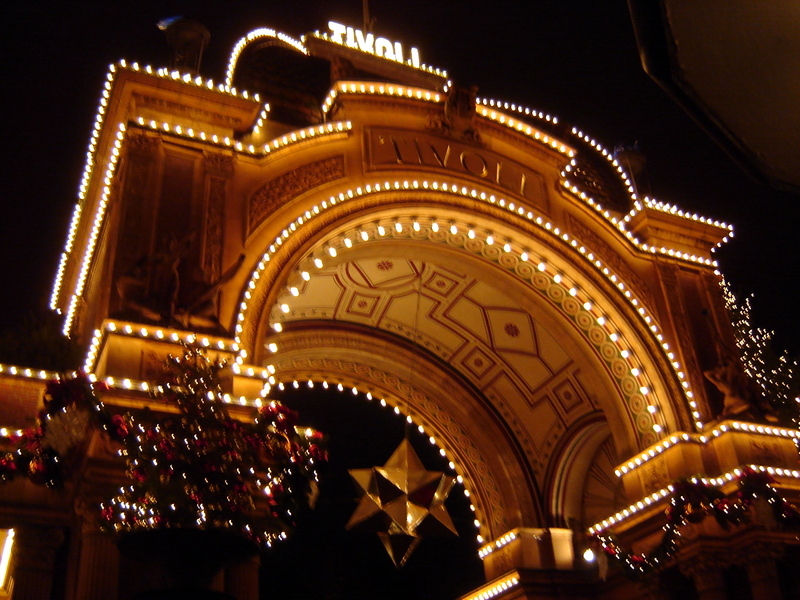 I went to Tivoli two or three times with friends or class during the holidays and everytime we walked through the massive park (a mixture of gardens, rides, kiosks and food) we picked up some aebleskivers and glogg – mulled wine with spices, raisins and slivered almonds. 1. In a large bowl, whisk together the flour, baking soda, baking powder, granulated sugar and salt. 2. In a separate small bowl, lightly whisk together the egg yolks and buttermilk. Whisk the yolk mixture into the flour mixture until well combined; the batter will be lumpy. Add shredded apples. 3. In another bowl, using an electric mixer, beat the egg whites until stiff peaks form, 2 to 3 minutes. Using a rubber spatula, gently fold half the whites into the batter, combine, then add the second half. 4. Put 1/2 tsp. 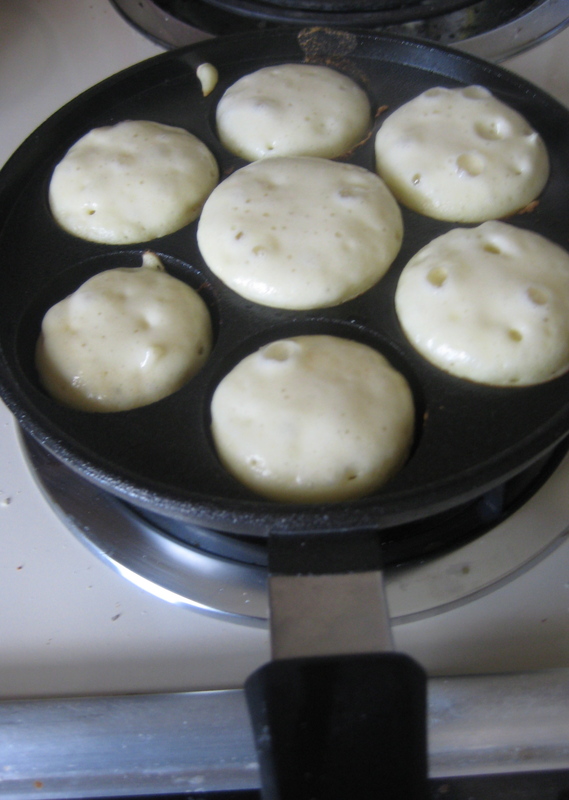 butter in each well of the aebleskiver pan. Place over medium heat and heat until the butter begins to bubble. Pour batter into each well until it’s right below the brim and cook until the bottoms are golden brown and crispy, 3 to 5 minutes. Using a small spoon flip the pancakes over and cook until golden and crispy, about 3 minutes more. Transfer to a plate. Repeat with the remaining batter. 5. Dust the pancakes with confectioners’ sugar and serve warm with the strawberry preserves. Voila! Danish holiday treats at their finest! Hey Emily! I’ve enjoyed reading your recipes, your log is great. 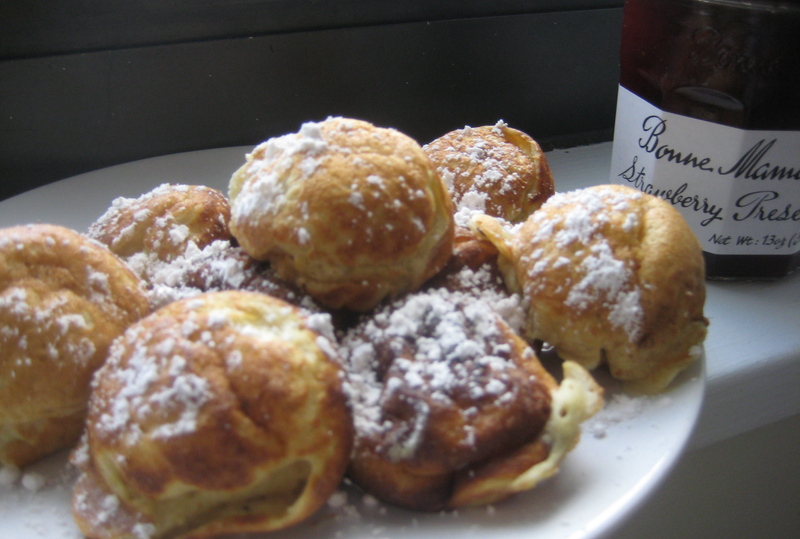 I was especially excited when I saw this one, I recognize it from my time studying abroad also; they eat the same thing in the Netherlands, but there they are called poffertjes (the ending “je” means little). I hope all is going well for you, best of luck to you and James. Emily! Hello! I love these delightful delectables — I didn’t know they had them in Amsterdam! Yum! Hope all is well up in NYC! Loved the memories from Denmark! Reminded me of a bakery that sold Studentbrod. They took all the leftover doughs and mixes and baked them into sweet bars to sell cheaply to students. Pingback: Frosted Pumpkin Cookies « Voila!